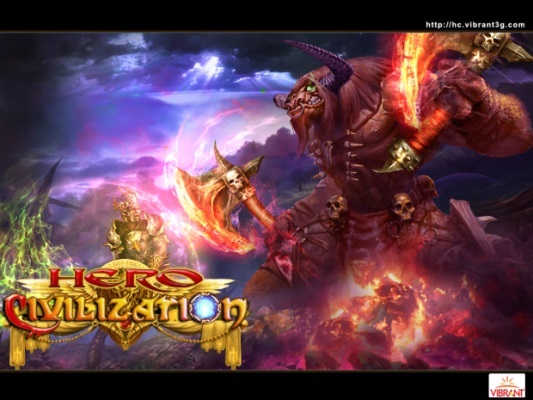 Vibrant Games has announced the launch of New Era of its successful top ranked browser MMORTS game Hero Civilization (HC). Build your empire, train your troops and level up your Hero. Start a new era and join one of three factions — Human, Shaba, or Alec — and begin building your kingdom from the ground up. Participate in a variety of quests, each designed to further your goal of conquering the world. Join in an alliance with other players to further your path to glory. Trade with others for the materials and resources needed to keep a kingdom growing, and spread your influence across the land! The game is based on the elements of strategy and tactics. The secrets of a big successful gaming environment are all combined in this game. The game has lots of features which simulates the real lives of middle age wars. Alliance based system: Join with your fellows to grow more powerful, as you spread your influence across the land. Assist your allies and request their help for attacking and defence alike. Trader’s economy: Have an excess of something, but need more of another? Trade it with another player so you can both benefit!